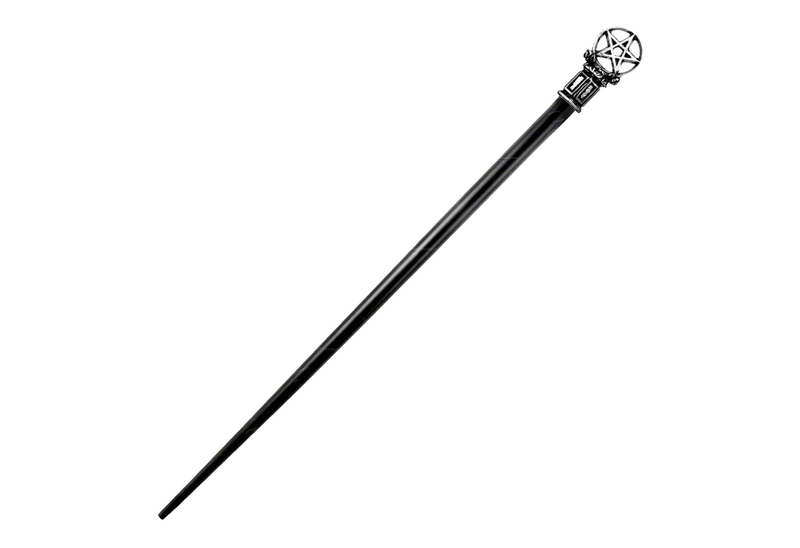 Black hair stick with pentagram tip. 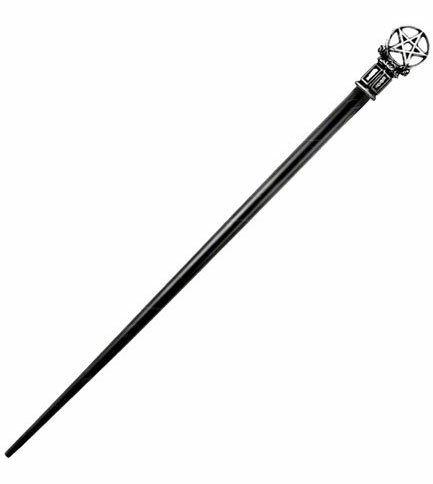 Measures width 0.79 inches x height 10.04 inches x depth 0.47 inches. Made of English pewter and imported from the UK. Designed to style long hair into an up do.